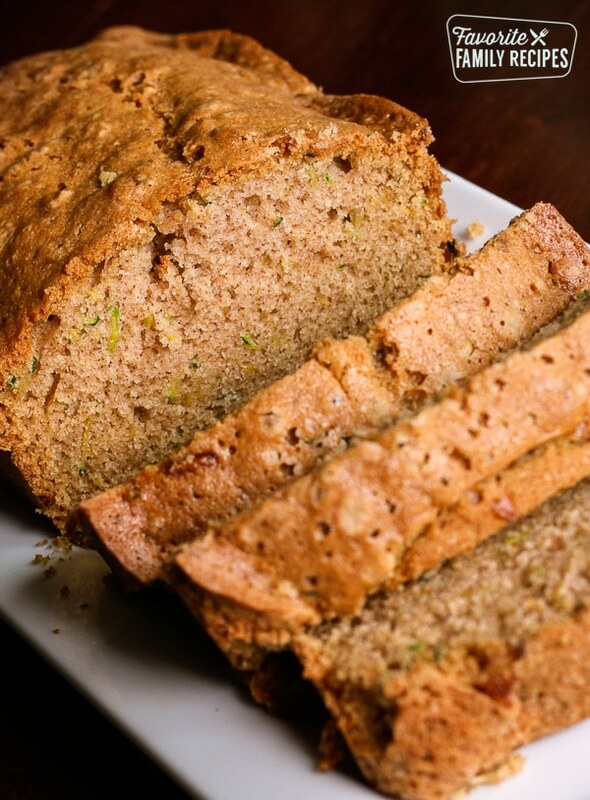 Our Mom’s Zucchini Bread recipe is a no-fail zucchini bread recipe. The bread is moist and flavorful on the inside with a slightly crispy crust. This is the best zucchini bread! Our mom made this all the time with fresh zucchini from her garden when we were growing up. As kids, it was the only thing with zucchini in it that we would eat willingly. We would eat it all summer long and never get tired of it. The house would always smell amazing and I couldn’t wait to get my hands on a slice. I loved it then and I love it now. In fact, I just planted some zucchini in my garden so I can make it later this summer! Near the end of the summer, when you feel like you have zucchini coming out of your ears, put a few in a basket along with this recipe and some of the ingredients (or just give them a loaf of this zucchini bread) and give it to your friends and neighbors.. they will love you forever. Also, did you know that you can freeze zucchini bread? This recipe makes two loaves so you can eat one today, and freeze the other loaf for later. Sometimes I will make several loaves and freeze them to save for a rainy day when I feel like zucchini bread but don’t feel like making it. If you don’t have a garden overflowing with zucchini, most likely most markets have zucchini in stock year-round for pretty cheap. You can make this bread any time — it doesn’t JUST have to be in the Summer. You are just going to love this recipe — oh and just as a little side note… you can use coconut oil in place of regular oil in this recipe and it is FANTASTIC. Enjoy! Our Mom's Zucchini Bread recipe is a no-fail zucchini bread recipe. The bread is moist and flavorful on the inside with a slightly crispy crust. MAKES TWO LOAVES! Pour into pans lined with cooking spray. Bake at 350 for 45 to 60 minutes or when knife comes out clean. We made this today and love it! Great recipe. I especially love the fact that it makes two loaves so we can save some for later. Thanks for sharing! could this be made to be diabetic friendly? We made this today and my family loves it thanks for sharing your recipe . This recipe is the best!! And I love a recipe that makes two loaves! Is it a personal cookbook or is it cookbook that will be published? Is vegitable or canola oil best? I am a vegan and someone replyed to diabetes question. IF I use apple sauce instead of eggs, how much applesauce do I use? Why do you have to peel thezuchinni? The zucchini in the picture doesn’t look like it’s been peeled. How much honey do you use instead of sugar? 2 cups the same? And with the coconut oil did you melt it first before mixing it? You will want to do slightly less honey… maybe 1 2/3 c. instead of sugar. Also bake on a slightly lower temp because honey browns faster. Coconut oil is the same ratio– Yes, it can be melted… I just like to have it at room temp. Hope this helps! Hmmm.. we have never made it that way before. We have never used flaxseed egg so I am not sure how it would affect the recipe. We have also only done sugar substitutes (honey etc..) and have never left it completely out before. The taste will definitely be different if you leave the sugar out. If you try it, let us know how it turns out! Thank you, ladies, for sharing! 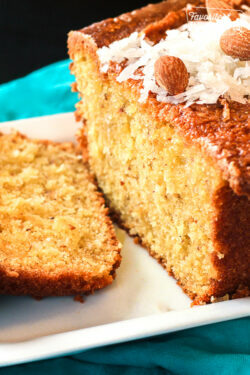 This recipe was so good, even the kids ate it and enjoyed it ! Thanks for sharing!! Made this as my first try at zucchini bread. Subbed gf flour and it was simple and delicious! Hi Linda- we haven’t used a bundt pan for this before but you will probably be ok. If you try it, let us know how it turns out for you! Just came across this recipe & decided to give it a try. Truly the best zucchini bread recipe ever! Very moist with crusty top. I followed the recipe exactly as printed & it was incredible. 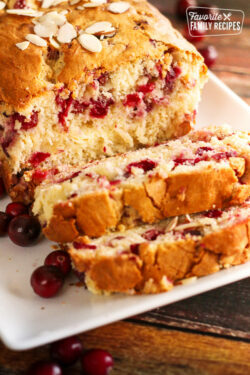 My hubby & I couldn’t stop eating it & before long one loaf was gobbled down by 2 peeps. Thanks for sharing this recipe. Do you have any other fantastic bread recipes? Like banana, pumpkin, etc. I am so glad you guys loved this recipe as much as we do! Thanks for the 5-star rating!! 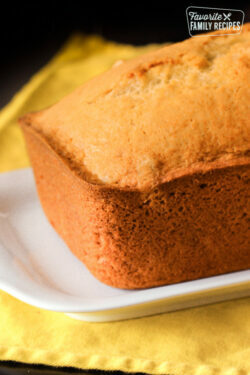 We have several other bread recipes that you can find by searching “bread” on our homepage. 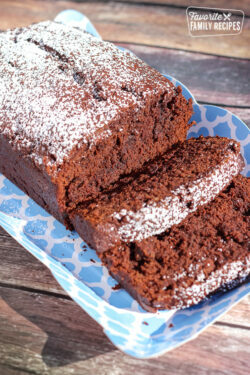 My personal favorites are our Pumpkin Chocolate Chip bread (here: https://www.favfamilyrecipes.com/pumpkin-chocolate-chip-bread/) and our Lemon Zucchini bread (here: https://www.favfamilyrecipes.com/lemon-zucchini-bread/) Hope you find something you like!